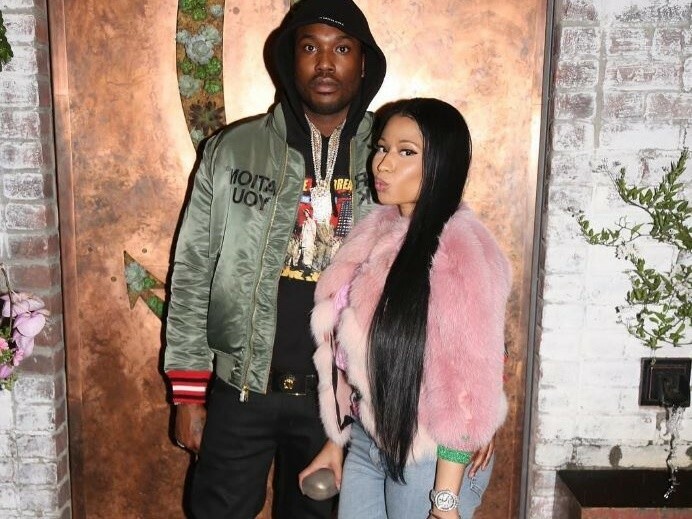 Nicki Minaj and Meek Mill have waged a war of subliminals this month, leaving befuddled fans to wonder “Are they or aren’t they” in regards to the couple’s relationship. The subliminals began with an Instagram photo of Chanel slides and a Beyoncé lyric from Nicki, and have quickly spiraled into a showdown of obscure quotes. Last night (December 18), Nicki posted a photo of the following quote to her Instagram profile: “Those people who tried to bury you didn’t know you were a seed.” The Queens rapstress added even more mystery to the quote with her “Story of my life” caption. Meek quickly followed suit, posting an image of the following quote to his IG: “There is no cosmetic for beauty like happiness.” His caption to the quote proved to be a little more telling. “Happiness the best make up a woman can wear….show me ya true colors!” the Philly wordsmith wrote. Happiness the best make up a woman can wear….show me ya true colors! ? And with the latest social media shenanigans from the pair, a photo uploaded by Meek over the weekend has the internet wondering if Meek and Nicki have reached their expiration or if they’ve merely reached exemplary levels of trolling. In the photo posted by Meek, which has since been deleted, the backside of a mystery woman can be seen. A screen capture of the photo, obtained by The Boombox, is below. Add to all of this the fact that neither one of them is following each other on Instagram anymore. Without confirmation from either Nicki Minaj or Meek Mill, the internet remains in limbo over the status of the couple’s relationship.